Rosmarinus officinalis, commonly known as rosemary, is a woody, perennial herb with fragrant, evergreen, needle-like leaves and white, pink, purple, or blue flowers, native to the Mediterranean region. The name "rosemary" derives from the Latin for "dew" (ros) and "sea" (marinus), or "dew of the sea", because in many locations, it needs no water other than the humidity carried by the sea breeze to live. Rosemary is used as a decorative plant in gardens and has many culinary and medical uses. Its leaves contain 0.5% to 2.5% of volatile oil. The major components of the oil include monoterpene hydrocarbons (alpha and beta-pinene), camphene, limonene, camphor (10% to 20%), borneol, cineole, linalool, and verbinol. Rosemary contains a wide variety of volatile and aromatic components. Flavonoids in the plant include diosmetin, diosmin, genkwanin, luteolin, hispidulin, and apigenin. Other terpenoid constituents in rosemary include triterpenes oleanolic and ursolic acids and diterpene b>carnosol. Phenols in rosemary include caffeic, chlorogenic, labiatic, neochlorogenic, and rosmarinic acids. Rosemary contains high amounts of salicylates. Ursolic acid is a pentacyclic triterpene acid, used in cosmetics, that is also capable of inhibiting various cancer cell types by inhibiting the STAT3 activation pathway, one of which includes human fibrosarcoma by reducing expression of matrix metalloproteinase-9 via glucocorticoid receptors. It may also decrease proliferation of cancer cells and induce apoptosis. Ursolic acid is present in many plants, including apples, basil, bilberries, cranberries, elder flower, peppermint, rosemary, lavender, oregano, thyme, hawthorn, and prunes. Apple peels contain large quantities of ursolic acid and related compounds. Carnosic acid is a natural benzenediol abietane diterpene found in rosemary and common sage. It has medicinal properties, is a potent antioxidant and protects skin cells against UV-A radiation (photoprotection). Studies in animals have also found a protection against carcinogens. Carnosic acid is used as a preservative or antioxidant in food and nonfood products (e.g. toothpaste, mouthwash and chewing gum in which it has an antimicrobial effect on the microbes responsible for bad breath or skin care products). Carnosol is a phenolic compound found in the antitumorigenic herbs rosemary and Mountain desert sage. Several rosemary extracts (RE) from dried leaves have recently been characterized as having topical anti-inflammatory activity. Rosemary extracts treatment resulted in a strong reduction of edema and in a reduction of inflammation by 22% when compared with the control injection. However, when the ethanolic RE was topically administered, inflammation was reduced by 80%. In agreement with these results, histopathological analysis showed that topical treatment strongly diminished the number of leukocytes (a marker of the inflammatory process) at the site of inflammation (Fig. C) compared with the control samples (Fig. B). Other experiments showed that carnosic acid and carnosol are the major anti-inflammatory bioactive compounds. In addition, we observed vasodilatation (Fig. C and D), in fact ethanolic RE, CA and CS significantly inhibited the production of NO (secreted by monocytes and macrophages, induces vasodilation) in a dose dependent manner. Ethanolic RE and CA interfered with the recruitment of human polymorphonuclear leukocytes into the blood in response to the acute inflammation induced. This process consists in a suppression of the expression of IL-1β (a important cytokine that induces fever and shock-related hypotension in part inducing the production of prostanoids through increased synthesis of cycloxygenase-2 ) with a reduction of 67.64% and 65.06%, respectively. Moreover, retreatment with CA reduced TNF-α expression to a greater extent than pretreatment with CS (53% compared with 18.2%,respectively), and both compounds completely inhibited COX-2 (a inducible protein that catalyzes the biosynthesis of prostaglandins from arachidonic acid). The expression levels of COX-1, ICAM-1 and fibronectin were not significantly reduced by topical application of CA or CS compared to the treated group. So these compounds may be useful as anti-inflammatory agents with fewer side effects than regular non-steroidal drugs. Furthermore ethanolic RE, CA and CS inhibit NO production and suppress NF-κB. Suppression of COX-2, IL-1β and TNF-α expression and leukocyte infiltration in inflamed skin by bioactive compounds from Rosmarinus officinalis L,2011. The effect of the acute or repeated administration of rosemary extract was similar to the action produced by the classical antidepressant fluoxetine. This antidepressant-like effect dependents on its interaction with the serotonergic (5-HT1A, 5-HT2A and 5-HT3 receptors), noradrenergic (α1- receptor, but not with α2) and dopaminergic (D1 and D2 receptors) systems. Moreover studies are showed a increasing of AChE activity in the hippocampus, but not in the frontal cortex in patient suffering from depression. This situation is reversed by R. Officinalis that acts also as anticholinesterase (enzyme that catalyzes the hydrolysis of acetylcholine). The hypothesis that this could lead to a desensitization of nicotinic acetylcholine receptor is based on this. 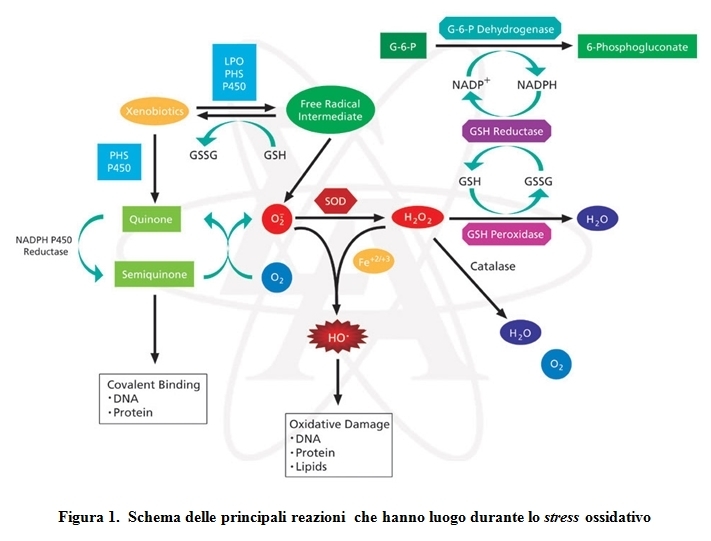 In conclusion more studies are necessary to elucidate which isolated compounds are responsible for the antidepressant-like effects of the extract of R. officinalis and the exact mechanisms. Several studies investigate the actions of ethanolic extract of the leaves of rosemary on glucose homeostasis and antioxidant defense in rabbits. The extract possessed a capability to inhibit the lipid peroxidation and activate the antioxidant enzymes so probably it exerts remarkable antidiabetogenic effect. In fact pancreatic-cells are particularly susceptible to the deleterious effects of reactive oxygen species (ROS), because of their low expression of the antioxidant enzymes genes as compared to other tissues. Thus, the increase of ROS leads to damage of-cells through the induction of apoptosis and suppression of insulin biosynthesis. Among natural antioxidants, rosemary has been widely accepted as one of the species with the highest antioxidant activity, due to the presence of some important antioxidant oil and phenolic components such as rosmarinic acid, carnasol, rosmaridiphenol (all found in ethanol-soluble fraction). the other hand, the serum insulin levels remained unchanged both in the animal groups after the extract treatment. This finding indicates that the Rosmarinus officinalis might be producing its hypoglycaemic activity by a mechanism independent from insulin secretion, e.g. by the inhibition of endogenous glucose production or by the inhibition of intestinal glucose absorption. Infact ethanol extract of rosemary, due to intestinal-glucosidase (AGc) inhibitory activity of its active compound might play a role in controlling dietary glucose uptake in the small intestinal track. Furthermore the elevation in blood insulin in the extract-treated alloxan-diabetic rabbits, could be because of the insulin-tropic substances present in the extract that induce the protection of the functional-cells from further deterioration or the regeneration of-cells so that they remain active and produce insulin. So the rosemary could enhances transport of blood glucose to peripheral. Treatment of diabetes with the highest doses of the Rosmarinus officinalis extract on subacute studies caused a decrease in malondi aldeyde (MDA) levels. This decrease may increase the activity of glutathione peroxidase (GPX) in rabbits treated with the extract and hence cause inactivation of lipid peroxidation (LPO) reactions. Enzymatic antioxidant such as superoxide dismutase (SOD) and catalase (CAT) are considered primary enzymes since they are involved in the direct elimination of ROS and persistent hyperglycaemia leads to increased production of free radicals.The antioxidant enzymes such as SOD and CAT are known to be inhibited in diabetic as a result of non-enzymatic glycosylation and oxidation. Long-term treatment of diabetes with the highest dose of the Rosmarinus officinalis extract had reversed the activities of these enzymatic antioxidants, which might be due to decreased oxidative stress as evidenced by decreased LPO. Several reports indicate that the compounds responsible for antioxidative activity of Rosmarinus officinalis are mainly phenolic diterpenes such as carnosoic acid, carnosol, rosmanol, and other phenolic acids, such as rosmarinic and caffeic acids. The rosemary extract inhibited the ulcerative lesion index in all experimental models tested. Probably, this antiulcerogenic activity has no relationship with the mechanisms that control the gastric acid secretion. Indeed, in pyloric ligation model, the rosemary extract decreased the gastric juice volume, but did not modify pH and hydrogenionic concentration of gastric content. Probably its properties are due to cytoprotective mechanisms, which enhance the mucosal defense against agents as chloridric acid and pepsin. R. officinalis crude extract has active substances that increase the mucosal sulfhydryl groups content. In another hypothesis, this activity could be attributed to antioxidant compounds found in the crude hydroalcoholic extract. Antiulcerogenic activity of crude hydroalcoholic extract of Rosmarinus officinalis L.,2000. Some preliminary studies (based usually on statistical basis) demonstrated a correlation between rosemary and cancer protection effect: carnosol inhibited colorectal cancer at initiation, promotion, and progression, in addition to reducing intestinal tumor multiplicity; ursolic acid reduced the incidence of aberrant crypt foci, one of the earliest precursors of colorectal adenoma development, in particular the tumor initiation phase; rosemary extract, carnosol and ursolic acid reduced the incidence and/or multiplicity of mammary tumor. This finding is constituent with the data from a number of human studies in which a RCT show that rosemary extract adjuvant therapy in advanced breast cancer patients. The mechanism underlying this effect was considered to be through lowering oxidative-stress in the patients by a rosemary extract. Rosemary constituents were also found to decrease the number of skin tumor, and to reduce hepatic tumor biomarkers such as glutathione S transferase-positive (GST-P) foci as well as inducing carcinogen metabolising enzymes. In some cases animal studies have provided insights into the mechanisms of cancer protection: carnosol, carnosic acids, and ursolic acid inhibited cancer growth and/or proliferation, in particular, by human colonic adenoma and human colon cancer cells, and the apoptotic effects were found for UA. Rosemary extract also decreased oxidative induced DNA damage in human colonic adenoma. The mechanism underlying this effect was through scavenging free radicals. Both anti-proliferative and apoptotic effects were dose and time dependent. Several other types of cancer have been investigated in cell culture studies. The results suggest that the anticancer effects of rosemary are unlikely to be tissue specific. This is because rosemary extract was found to inhibit the growth of cancer cells and related molecular events in several different organs, including the breast, liver, stomach, melanoma, and leukemia cells. In general, the mechanisms underlying the effects of rosemary against cancers are either induction of cancer protectivemarkers/factors (apoptosis, carcinogen metabolising enzymes) or inhibition of tumor promoting events (cell growth and proliferation, DNA adduct/free radical formation, carcinogen activating enzymes, lipid peroxidation). Topical administration of RO-extract solution (2 mg/day/mouse) improved hair regrowth. This data suggested that the hair growth activity of rosmery was due to its antiandrogenic activity and therefore has potential as an effective treatment for AGA (androgenic alopecia). The rosmery-extracted-treated group showed significant promotion of hair growth after 16 days of administration. R. Officinalis showed improvement of hair growth in AGA model mouse and a hair activating model in two ways. 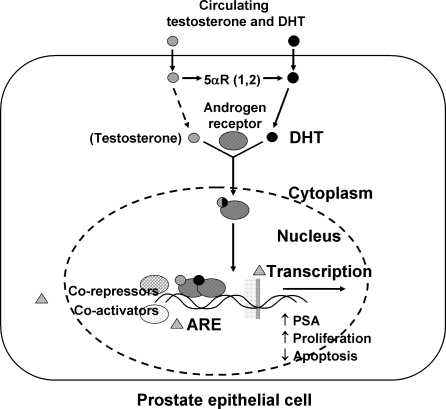 Firstly it was able to inhibit 5αR, the enzyme that converted testosterone to DHT, secondly it inhibits the biding of DHT to AR. Two isozymes have been characterized for 5αR, which are types I and II. Isozyme type I is mainly expressed in the liver and skin, whereas type II is found in prostatic glands, hair cells, and the epididymis. 5α-Dihydrotestosterone binds to androgen receptor (AR) on the nuclear envelope, and the binding complex is transported into the nucleus. The DHT/AR complex stimulates the transcription of TGF-β1, TGF-β2, and DKK-1, which are known to miniaturize hair follicles and shorten the anagen phase in the hair cycle. Other studies are show that 12-methoxycarnosic acid the principal actor. Rosmarinic acid and ursolic acid were tested for their inhibitory activities and showed extremely low activities. Carnosic acid was not found at significant levels in the RO.